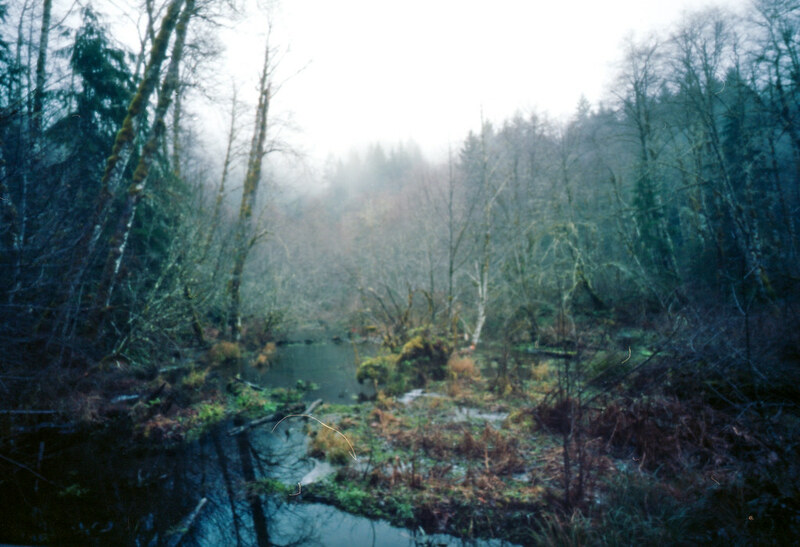 My next Holga image is another pinhole shot from my Holga WPC. It was made at one of my favorite places, Wildwood park, up on Mt Hood. I got the title from a little game I was doing a couple of years ago. I got tired of titling my photos by stating the obvious so decided to title them by using the first line of the song I was listening to at the moment. In this case, I think it worked very well. In other cases, not quite as well (though, still, maybe more interesting than stating the obvious). This went on for a couple of months then it was back to business as usual. How do you come up with good titles for your photos? Exposure time: ?. Maybe 30 seconds?